Promotional merchandise and business gifts supplier. We have been providing businesses, schools and charities with innovative promotional products giveaways and business gifts for over 30 years. 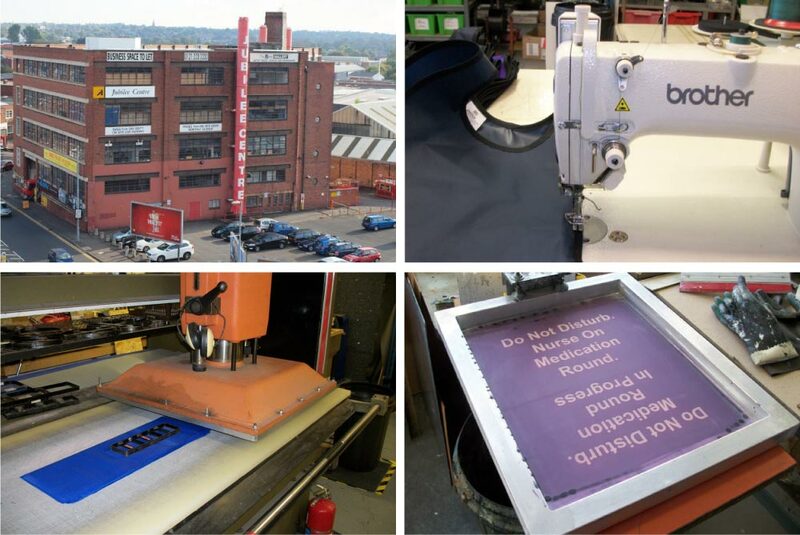 Based in the centre of Birmingham we manufacture a range of items include bespoke protective covers, bags, nylon tabards, satin sashes, armbands, drawstring bags and golf accessories. Our satin sashes are ideal for sales and promotional events, hen parties and special occasions. Nylon drawstring bags, PVC drawstring bags, armbands for identification and safety. All our promotional products manufactured here in Birmingham can be custom made to suit your specific requirements. Over the many years we have added to our range of promotional merchandise in order to offer you the best choice available, and with our very personal relationship, we know we can fulfil your requests. Other products include promotional, business and conference bags, folders, nylon backpacks, golfing products and accessories, torches, desktop items, luggage straps, workwear, goody bags, USB flash drives, zipped pouches, cotton shoppers, garments, safety reflectors, clothing, and thousands more. Almost everything we supply can be personalised with either a screen print, embroidery, transfer or engraving, depending upon the article.